Doctor Who: The TV Movie – What Went Wrong? | Warped Factor - Words in the Key of Geek. Doctor Who: The TV Movie – What Went Wrong? Dr. Moo looks back at the failed US reboot. Picture the scene: The year is 1993 and Doctor Who has turned 30 years old. To celebrate we have got an amazing anniversary special! No wait, we don’t. We’ve got Dimensions in Time instead. Aside from the £101000 it raised for charity, it’s utter garbage and managed to show everyone who hadn’t seen Doctor Who that the BBC was right to cancel it and make the fans lament how it forever killed any hope of “proper” Doctor Who returning to television. Imagine the surprise less than three years later when FOX announced that they were going to resurrect the show with a new Doctor! This pilot was to be in the form of a made-for-TV movie with the intention of launching a series if it was successful, but due to low ratings this series never materialised. So what went wrong? This raises more than a few questions that you need background knowledge of Who Lore to understand. What’s a Skaro? Who’s the Master? Who is a Time Lord? What’s a Gallifrey? It’s like we’ve come in half way through a story! Before we get any answers we learn that Time Lords have got 13 lives for some unexplained reason, and we hear but don’t see some Daleks, whatever they are. Suddenly we see the Doctor’s TARDIS, but viewers are not told why it’s a blue police box, not to mention what a police box is, how it’s flying, where it’s flying and why it’s bigger on the inside. All of these are questions we, as Who fans, can answer inside out and backwards, but would your average FOX viewer have known any of the answers? Highly unlikely. They would be sat there thinking where is Paul McGann? And who’s that Scottish bloke? 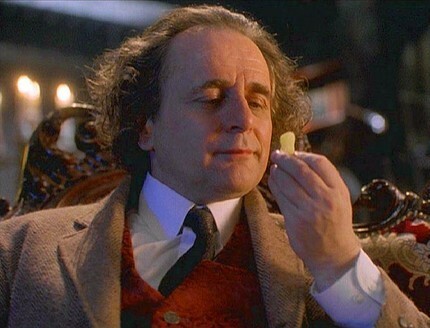 Ahh, Sylvester McCoy: An underrated Doctor if ever there was one. It is good to see him back, to have him legitmise the production and to get the most impressive regeneration the series had ever achieved to date… but what the heck is he in this for??? This is not a regular episode of the show. This is a pilot for an audience that mostly doesn’t know anything about Doctor Who – Why the hell would you show a regeneration in this context? Russell T Davies didn’t do that with his successful 2005 revival, nor did Paul Cornell with his quicky-cancelled 2003 effort. 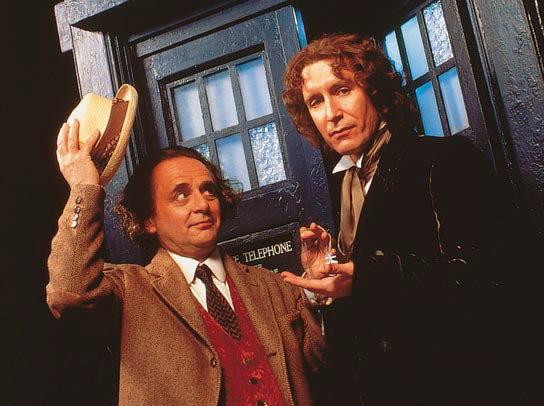 It’s good to have the old Doctor pass the torch, as McGann eventually did a full 17 years later, but there’s a time for that and this wasn’t it. Another major issue is the movie’s bizarre decision to ramp it all up to maximum. Prior to the regeneration we see Doc 7 die on the operating table after some botched surgery. The surgeon, Grace, can’t just be called in; she has to show up in a ballgown, running down the hallway in slow motion, Opera playing, tears streaming down her face like a prom queen. And she can’t just do the surgery; her boyfriend has to leave her midway through the procedure while hospital management watch from on high like malevolent gods. The only reason the sequence doesn’t include a car chase is because there’s one coming up later. Then there’s the regeneration itself. The Doctor changes face but waits until midnight in a morgue with lightning around his lifeless corpse and footage from Frankenstein playing on TV. The new Doc 8 apparently has the strength to smash his way through solid metal without making a noise until it’s narratively convenient, a skill we never see him use again. Then he finds his way into an abandoned wing of the hospital, reminiscent of many post-apocalyptic last-man-on-Earth movies, where he sees his new facade in a mirror (broken, naturally), and instead of just questioning his new identity he has to scream “WHO AM I…?” at the top of his voice - because he has amnesia. He’s also become half-human for some reason but we'll later file that under the same Never Speak Of This Again file as the Star Wars prequels or any Terminator movie after the second one. 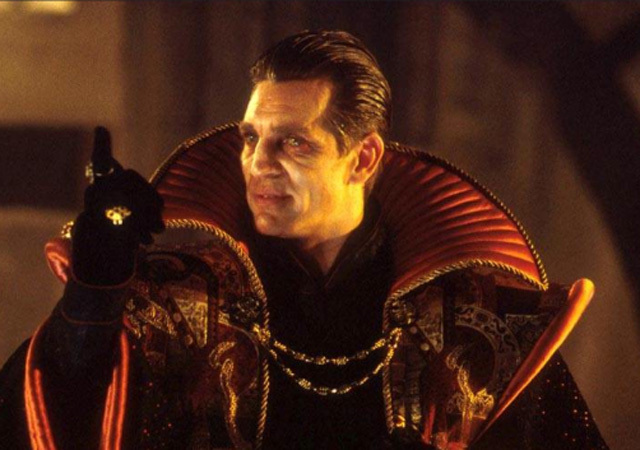 And I have to address the Master as played by Eric Roberts. He’s not an actor I’m familiar with beyond this movie and I have to say that his performance here puts me off looking into his work any further. Anthony Ainley, John Simm and Michelle Gomez all give us Masters as camp as Christmas but have a darker side to them, but Roberts’s performance doesn’t have any redeeming features. His delivery of his humorous lines is missing that vital spark (“You want me to kill you?”) while his menacing lines have no punch to them (“I must find the Doctor, this body won’t last long.”) and the less said about his decision to “always drezzz for the occasion” the better. With all these issues you’d be right to wonder if it’s worth a watch. But if you've not seen it you should try it. You’ll be pleasantly surprised because there’s a lot to like here. When Paul McGann hits his stride he’s really very good indeed. The one-off TARDIS interior we see here is a thing of beauty. The action sequences that dominate the second half of the movie make very little sense but, if you turn off your inner critic, you’ll find that they’re just mindless fun. Scenes with the Doctor kissing a companion and riding a motorbike were controversial then but you wouldn’t bat an eyelid at them today. The opening titles are very very similar indeed to what RTD’s era gave us. In many ways this movie was ahead of its time. It gave us the 8th Doctor and for a blink-and-you’ll-miss-it time we had new Doctor Who on television. Paul McGann is a bloody good Doctor and it’s a shame that we never got to experience his full potential on screen. Praise be to the good people at Big Finish! History will judge this as a failure. That’s only half-true (possibly on its mother’s side). So what if the story’s lacking and the Master’s rubbish? If you watch it expecting a bit of mindless fun then that’s exactly what you’ll get. It’s a wonderful way to kill a rainy afternoon or an evening in. At least the Americans didn’t screw up Doctor Who as badly as they later did Torchwood, but let’s not go there.